Lynn Kotler was Director of the Sprint in four different locations over a period of 11 years. What is now the Lynn, Gartner, Dunne & Covello Sands Point Sprint has had a long - and nomadic! - history. It was born in 1981 as the Syosset Sprint, a 5-kilometer race that started and finished at H.B. Thompson Middle School in Syosset. Over the first few years it was not a Club event, but managed by Gunther Dauth and Fred Winkel. Somewhere around 1985, it did become a Club event and I became the Race Director. Jim Flynn of the New York Athletic Club had several overall wins in the race in the mid-1980's, including a course record of 14:29. The 1990 Syosset Sprint was especially memorable, with Martin Ryan of NYAC and Mike Anderson duking it out to the finish, with Ryan scoring the win in 14:46, one second in front of Anderson. Ryan was a repeat winner in 1991, with a time of 14:49. The Sprint was moved to Syosset High School in 1992 and became a 4 mile race in 1993, with Don Speranza winning the first 4 miler in 20:29. Michael Going turned in a strong 19:43 to win the 1994 Sprint. 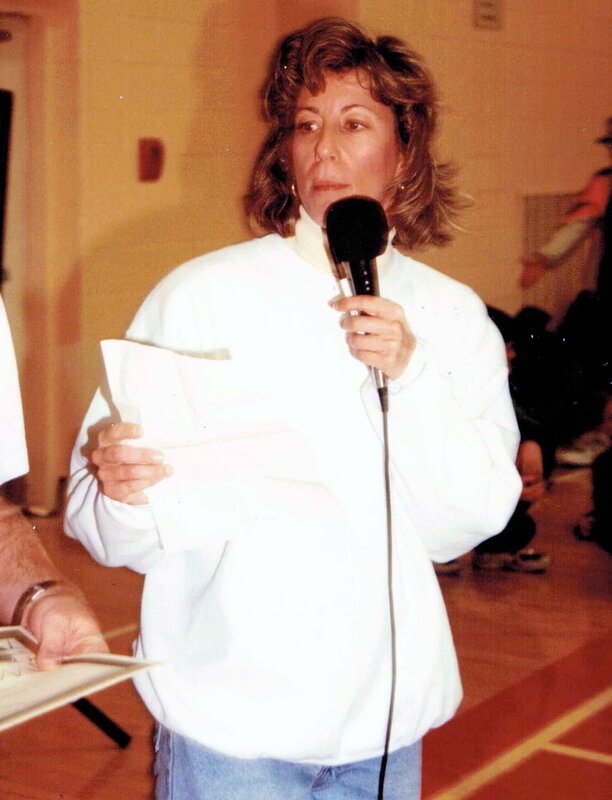 Lynn Kotler took over as the Race Director in 1995. We had some difficulties with the Syosset School District in connection with the 1996 event, which resulted in our moving the Sprint to Bay Shore in November of 1997, and Mary Ellen Stajk joined Lynn as Co-Director of what was the first POBRRC event staged in Suffolk County, with Mike Guastella of Warren Street taking top honors in 19:47. Guastella repeated in 1998, and Robis Degirmenci of the Bellmore Striders won in 1999. In 2000, with Lynn back as the sole Race Director, we moved the race to Eisenhower Park, and renamed it the Sprint for the Parks. Some misdirection along the course changed what was supposed to be a 4 mile run into a 5.34 mile run, meaning PRs for everyone and big wins for Carlos Castro and Donna McMahon. In 2002 the runners covered the correct 4 mile distance. The 2002 and 2003 Sprints were moved to August and the distance went back to a 5K. Another move marked the August 2004 edition of the Sprint, as it became the Sprint for the Arts 5K at the Nassau County Museum of Art in Roslyn Harbor. In 2005 Bob Mittleman joined Lynn as Co-Director of the Sprint, and in 2016 Bob served as the sole Director. Starting with 2007, managing the Sprint became a group effort at the GLIRC office, and we made what has (so far!) been our final change of location - to the beautiful grounds of the Sands Point Preserve, with a combination of paths and trails that became an instant success. Jonathan Cuomo and Kathy Martin were the winners of the inaugural effort at Sands Point in 2007. In 2008 the Sands Point Sprint became the Sands Point Sprint for the Feinstein Institute with Abe Bernstein talking the lead on behalf of the Institute and Tim Murphy and Una Broderick scoring as the overall winners. We were proud and pleased to help Abe raise funds for the Feinstein Institute for six years through the 2013 edition of the Sprint. 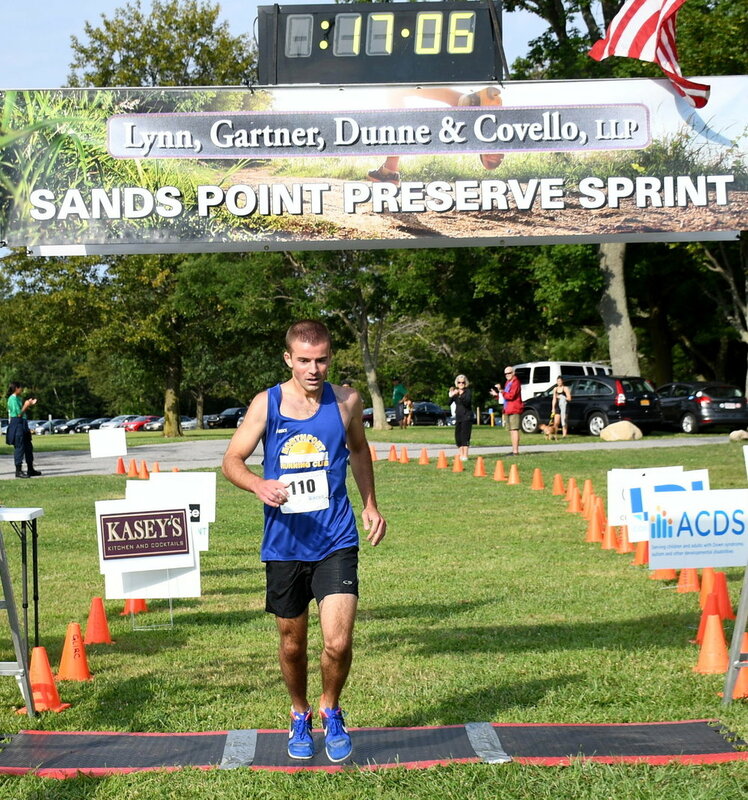 2014 truly began the "modern" era of the Sprint, with a very generous title sponsor and a new name for the race - the Lynn, Gartner, Dunne & Covello, LLP Sands Point Preserve Sprint. Shawn Anderson and Alyssa Knott won the 2014 Sprint. 2017 presented a very interesting year for the Lynn, Gartner, Dunne & Covello Sands Point Preserve Sprint, To start out with, we were pleased to bring ACDS on board as our charitable beneficiary. That was the good news. But 16 days before the scheduled 2017 race, we were advised by the folks at the Preserve that the course we had planned to use for the race would not be available. There was apparently going to be a movie being filmed on the paths by the stables and that we would have to revamp the course. So....in the midst of a rainstorm the following Monday, myself along with GLIRC's Executive Director Linda Ottaviano spent the morning tramping through the trails at the Preserve and came up with a new course that we felt would solve the problem. With the positive reaction by the participants on August 6, the new course is definitely a "keeper!" A bit more in the way of trails with a great view of the Long Island Sound, it was a course that really worked for everyone. Alex Eletto was the overall 2017 winner for the second consecutive year, with Michele Grieco winning the women's division. August 5, 2018 will mark the 38th annual edition of the "Sprint" than began at the Thompson Middle School in Syosset and has seen a total of six different venues in its peripatetic journey. Last year we had 416 finishers and we are looking forward to a bigger than ever turnout this year. Please join us this summer!